A Storm warning has been issued by the SA Weather service for KZN. 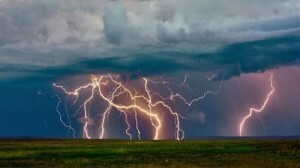 The SA Weather Service is warning of severe thunderstorms in parts of the country today. 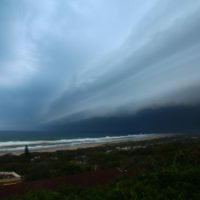 KZN should get ready for some high speed winds, storms, thunder and some rain. It says there is a 60% chance of thunderstorms in provinces including KwaZulu-Natal, Gauteng, the Free State, and North West. 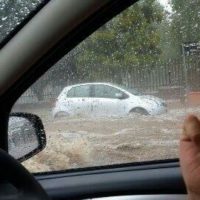 Forecaster Wisani Maluleke says the extreme western parts of KwaZulu-Natal will be affected, including Newcastle, Ladysmith and Dundee. 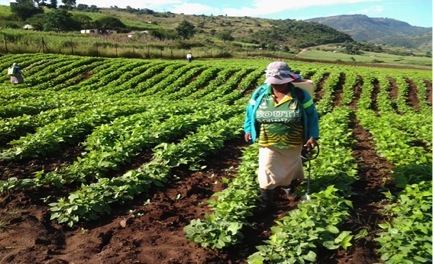 The storms are great news for farmers around KwaZulu-Natal that have been praying for rain to end the spell of drought that is threatening to ruin many of them. 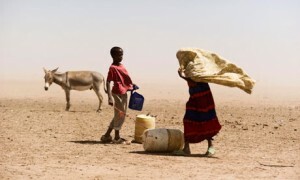 Inadequate rainfall earlier this year and the delayed spring rains have resulted in rivers drying up and dam levels falling to crisis levels. “These storms are also moving eastwards. 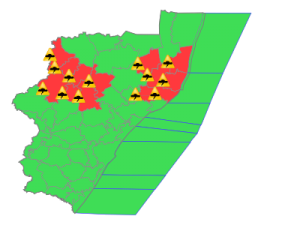 There is a chance that they might reach areas around Greytown, Nkandla and Ulundi. 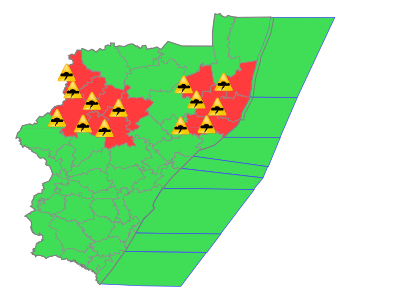 Another area where there are currently thunderstorm activities is around Nongoma in Northern KZN and the Phinda area. 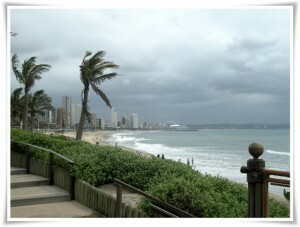 These storms are moving towards the north coast of KZN,” he said. Moderate risk of damage to infrastructure and disruption, dangerous to people and communities. 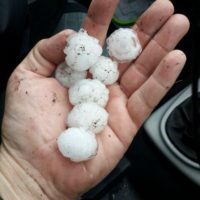 Advice – Be vigilant and follow the latest weather forecasts. For those living in Durban there has been a warning on the local Accuweather app for high winds with gusts past 65 kph, from late Tuesday night into late Wednesday night. Durban can expect thunderstorms tonight with a couple of thunderstorms tomorrow. Weather Warning for South Africa. Storm Video of Durban Gone Viral!